Ever stop to think about what’s in a bottle of honey? It’s really quite simple. There are no added preservatives. No added flavorings. No added coloring. Take a look at the additive-free journey that honey takes from bee to bottle and see for yourself. The color and flavor of honey varies from hive to hive based on the type of flower nectar collected by the bees. For example, honey made from Orange Blossom nectar might be light in color, whereas honey from Avocado or Wildflowers might have a dark amber color. 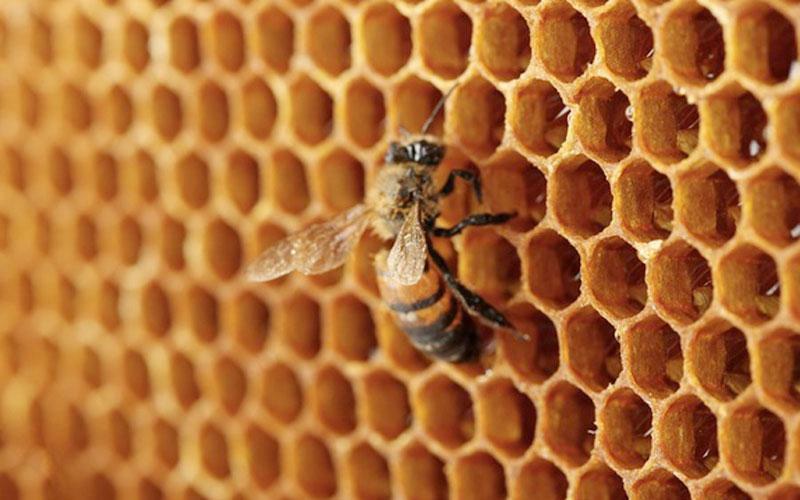 Beekeepers — large and small — harvest honey by collecting the honeycomb frames and scraping off the wax cap that bees make to seal off honey in each cell. 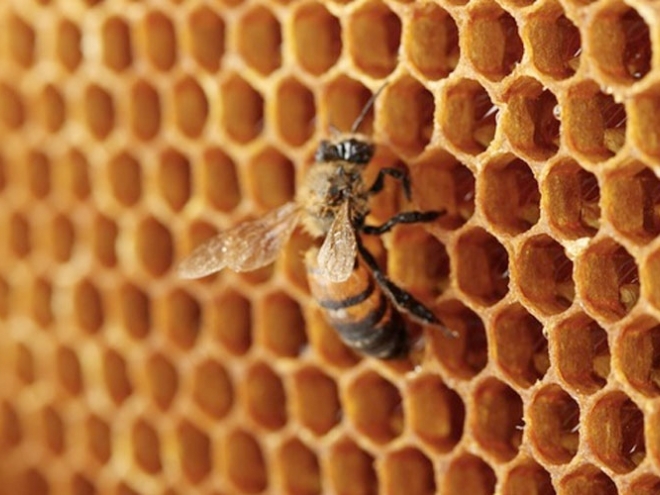 Once the caps are removed, the frames are placed in an extractor — a centrifuge that spins the frames, forcing honey out of the comb. The honey is spun to the sides of the extractor, where gravity pulls it to the bottom and it can be collected. After the honey is extracted, it is strained to remove any remaining pieces of wax or other particles. Some beekeepers and bottlers might heat the honey to make it easier to strain, but this does nothing to alter the liquid’s natural composition. It only makes the straining process easier and more effective. After straining, it’s time to bottle, label and distribute the honey to retail outlets. Whether the container is glass or plastic, or purchased at the grocery store or farmers market, if the ingredient label says pure honey, you can rest assured that nothing was added, from bee to hive to bottle.